Recently it was brought to our attention that UPMC distributed a letter to patients of our pediatric dental practice, Iannessa Pediatric Dentistry, stating that the practice is closed. This is untrue. The practice remains open and we will be continuing to provide care to our pediatric patients with no plans on closing. We apologize for any inconvenience this may have caused you, our UPMC patients. We are in the process of investigating this matter. If you have questions please contact our office. Here at Iannessa Pediatric Dentistry, we are focused on creating a comfortable, safe atmosphere where children are eager to come to the dentist. 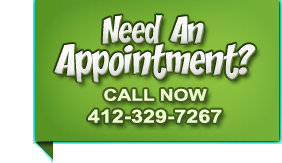 Your child's dental care is of utmost importance to us. We value our relationship with our patients and their parents and believe that the best relationships are based on understanding and good communication. We practice Pediatric Dentistry according to the guidelines set forth by the American Academy of Pediatric Dentistry and the American Dental Association. Pediatric dentistry is the specialty of dentistry that focuses on the oral health of young people, and are the pediatricians of dentistry. Unlike general or family dentists, pediatric dentists complete a four-year dental school curriculum plus two to three additional years of rigorous training specific to pediatrics. This specialized program of study and hands-on experience prepares pediatric dentists to meet the needs of infants, children and adolescents, including persons with special health care needs. Christina Iannessa DMD is the practicing Board Certified Pediatric Dentist. She is on staff at Heritage Valley Sewickley and is licensed to practice in New York and Pennsylvania. She is also certified in Pediatric Advanced Life Support and Advanced Cardiac Life Support. Dr. Iannessa is currently a member of the American Academy of Pediatric Dentistry, American Dental Association, Pennsylvania Dental Association, Western PA Dental Society, and the Beaver Valley Dental Society. If you are interested in seeing what our patients think of us, check out our Facebook Page. Copyright © 2010 Iannessa Pediatric Dentistry, PC. All Rights Reserved.